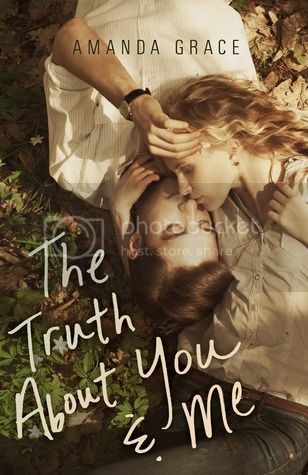 OK, I admit it… The first thing that drew me to The Truth about You and Me was its gorgeous cover, and that in itself made me request the book to review. Then I decided to actually check out the summary, and it sounded like it would be a pretty good read. The book is about a young high school girl, Madelyn, who is taking advanced college classes, and who falls in love with her professor. You pretty much know where the story is going to go when you start reading the book. Honestly, I probably shouldn’t have read this book right after reading Tampa by Alissa Nutting. Unfortunately because of this, I had a really hard time connecting with the main character. Yes, I know that teens just want love; and Madelyn didn’t get anything but pressure from her family. However, what she did was so wrong. She knew that she was lying the WHOLE time, and never really even tried to tell Bennett the truth about her real age. While I felt bad for her situation, I REALLY wanted her to just tell him, if not for herself, then for Bennett, who was such a great guy. Overall: I am not saying that this is a bad book at all. The writing and the story was good otherwise, as I obviously finished the story. I’m sure I would have thought differently about it if I hadn’t JUST finished reading Tampa. Because of that, I just found it really hard to feel bad for Madelyn for not telling the truth. That really is a gorgeous cover! I can see why you were drawn in. I can see why you'd be irritated with the lying thing. Though I'm not fond of teacher-student relationships, I find them quite addicting to read. Maybe its because of the forbidden love that happens between the characters. Anyways, thanks for the honest review (:! Hmmm, actually (and unfortunately) no one I've seen reading this one so far as really enjoyed it - which is too bad because the cover is gorgeous and the synopsis is interesting. Everyone has had some of the same complaints as you, Christy. This makes me less excited for it, but I might still see if my library gets it or anything. I had a lot of problems with Madelyn as well-she knew it was wrong, she admitted that frequently but she never thought beyond herself and it was hard to read knowing the eventual outcome.